Drawing was essential to van Gogh. He studied the Bargue method of drawing which focused on drawing from images of plaster casts and masterworks. Moreover, he did copies of master works, translating from drawings and woodcuts to paintings. Below we see drawing from Millet, a painting by Van Gogh after that Millet, and then that same Van Gogh painting converted into black and white. From this, we can see how much Van Gogh’s technique came from the drawing process. His brushwork and use of color allows for the image to work in much the same it does in woodcuts, where each line carries information of both line and value together. In van Gogh’s work he uses very strong lines of brush work to impart line, value and color all together. 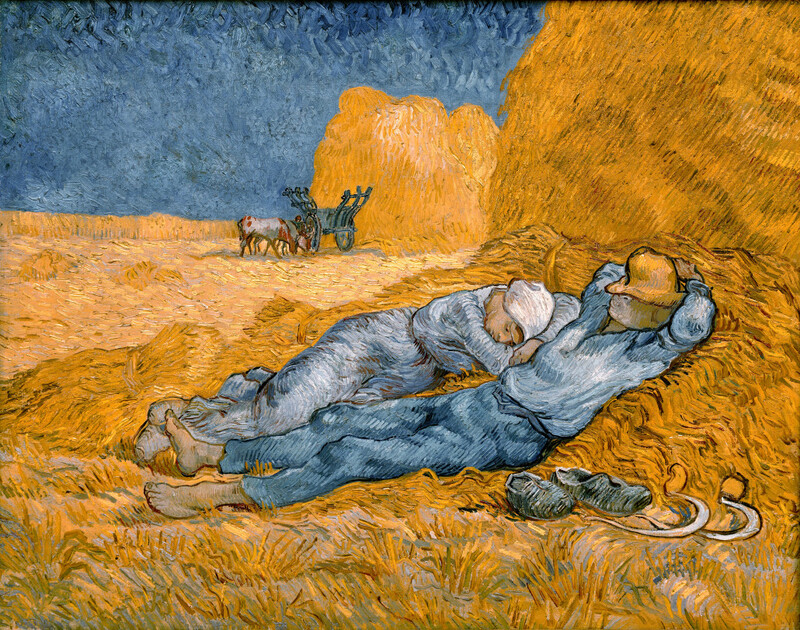 Looking at the images below, we can see that van Gogh’s copy of Millet’s work is very similar in use of line. van Gogh’s painting. I converted the image to black and white for comparison purposes. By examining the image of the van Gogh painting that I converted to black and white, we can see the close relationship to van Gogh’s work and woodcuts. When viewed in black and white, van Gogh’s painting looks incredibly similar to Millet’s woodcut. Usually an oil painting wood look very different from such a wood cut. The wood cut relies on lines dug into wood, with each line showing both linear movement and value (dark and light movement). One would generally expect an oil painting to look much different from a wood cut, as oil paint allows for blending of line and color. However, we can see that in van Gogh’s work this is not the case. In addition to his strong use of line, van Gogh’s use of color was exceptional. He was able to create incredibly vibrant lively paintings. The vibrancy of his colors came not so much from individual colors themselves, but instead from the interactions of colors which work to create strong light. In addition to using color movements such as the Shared Dominant, Van Gogh also makes use of tonal value contrasts to create movement. 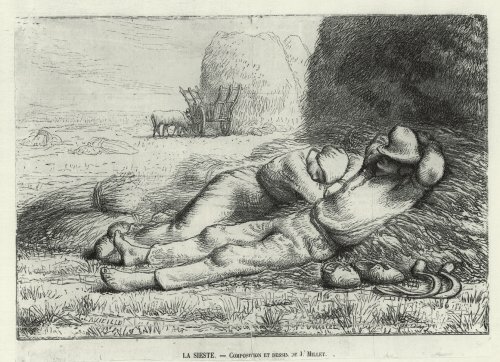 This is very similar to what we would see in drawing techniques, such as those he studied from Millet, Rembrandt and others. In this case we can see both light and dark blues in the sky, carrying movement throughout. 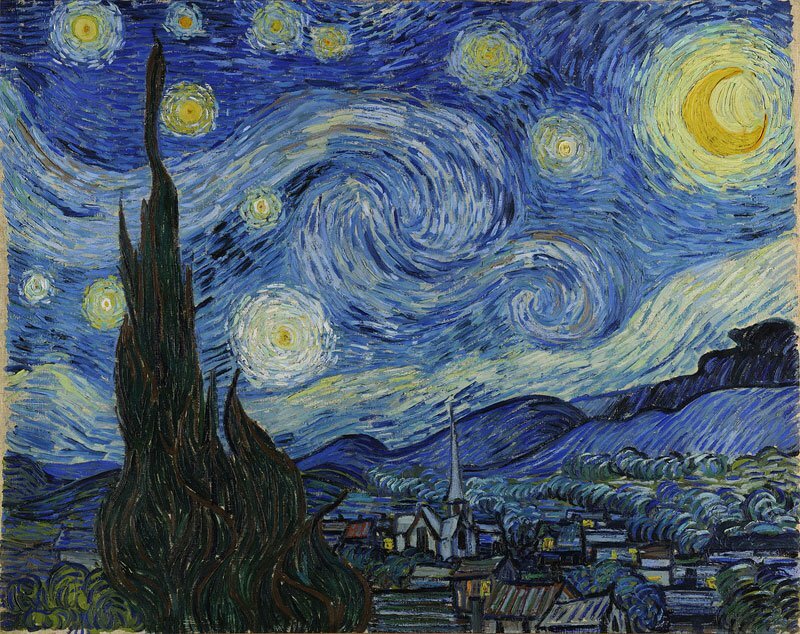 Van Gogh was an exceptional painter, who achieved greatness in a very short time. In this article, I hoped to show you a few of the techniques that he used to create his work. 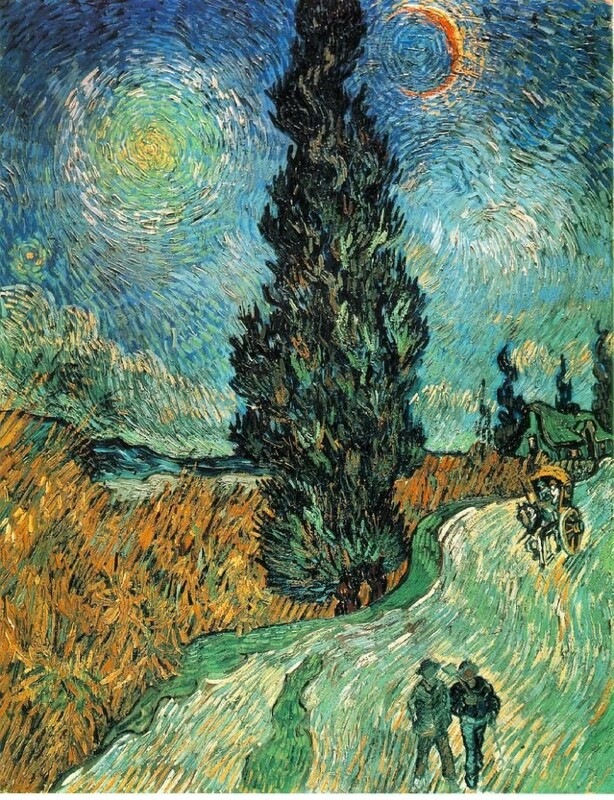 Van Gogh was a unique painter, and we can study his work to both understand his paintings better, as well as to further our own work.